Students at Istanbul Bilgi University will have the opportunity to study at the University of Liverpool during their final academic year following a new collaboration between the two institutions. Students will receive degrees from both Istanbul Bilgi and Liverpool at the end of their undergraduate studies as part of the first Yí–K-accredited dual degree programme between a Turkish and British university. The opportunity to study at Liverpool will be open to all students studying Media and Communication Systems, Business Administration, Business-Economics, Electrical-Electronics Engineering and Computer Engineering from September 2011. These students will not only study for a highly technical and theoretical degree but also experience an international university environment that will broaden their horizons and contribute to their professional development. Istanbul Bilgi University and the University of Liverpool will be assisting the dual degree programme students with their visa applications. The University of Liverpool will support and mentor Bilgi students and help them to search for accommodation on and around the campus when they arrive. Business Administration/University of Liverpool Dual Degree Programme offers a thorough grounding in a range of business subjects with an opportunity to specialise. Students are introduced to the problems and challenges of the business world and how to solve them. By the final year of the programme, students are able to consolidate their studies through a much greater degree of personal study and research. Business-Economics/University of Liverpool Dual Degree Programme provides students with comprehensive training in the theoretical and practical tools used in the study of economics and management. The students will not only benefit from the academic background of the two universities, but will also be able to seek opportunities in the vibrant business life of these two countries. Media and Communication Systems/University of Liverpool Dual Degree Programme students will study Turkish and British media, the tabloid press and traditional journalism in detail. Students of the programme will be able to conduct comparative studies between Turkish and British media by examining underlying political, cultural and social dynamics. The course includes analysing individual texts from the media industry. Electrical-Electronics Engineering/University of Liverpool Dual Degree Programme focuses on the core elements of Electronic Engineering and is based on excellence in research and teaching. The Electrical-Electronics Engineering department in the University occupies a suite of award-winning buildings equipped with undergraduate laboratories and lecture theatres, located at the heart of the University campus. Computer Engineering/University of Liverpool Dual Degree Programme provides an opportunity to explore all aspects of software development. Computer Science at Liverpool was ranked first in England for overall student satisfaction in the 2010 National Student Survey. 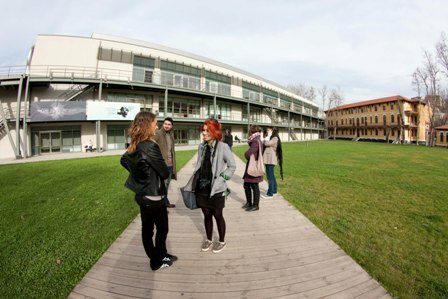 In their final year Bilgi students will have the chance to study in this environment.